Our online courses are designed as personal and professional development information sessions for parents, carers, teachers, educators and service providers. At Safe4Kids, we know how busy you are. We are aware that sometimes it is difficult to attend parents’ information sessions or professional development training. So, we have decided to come to you. Our courses are a series of small videos. You can work your way through the information at your leisure in the comfort of your home or office. All of our online courses are hosted by an external provider. In 2019, we will be launching our professional development courses for teachers and childcare educators, which is very exciting! These new courses are only open to teachers and educators and will not be available to the public. 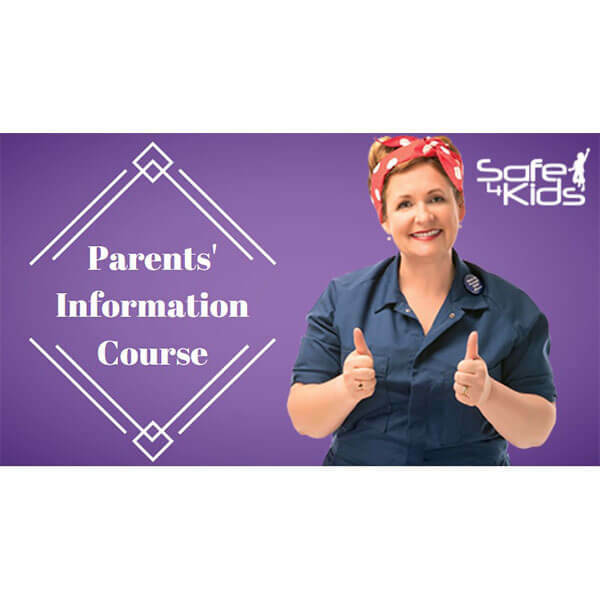 When teachers and educators have completed their course, they will receive a certificate from Safe4Kids. Click on the images below for more information about each course currently available. You may also complete your registration to get started. If you need any further information about our online courses, please don’t hesitate to contact us. We are here to help you!